If you feel disappointed due to the lack of a new iPhone or a TV – don’t be. WWDC – Apple’s World Wide Developers Conference was always software centric and while there are hardware announcements included, the Keynote was packed with fantastic software updates. After enjoying the whole conference, I’m pleased to report that Apple has “brought it”. What I’m seeing is a consistently strong rate of innovation in both iOS, OS X and even the Web services. Focusing not only on new features, but refining the current set and improving reliability. Even Apple won’t get everything right the first time, but they’ve shown that they can improve instead of abandoning, which can’t be said for a lot of other products and tech companies. The most noticeable change in iOS7 to most people is obviously the user interface overhaul. While the new look is a bit shocking for some and many people are still making up their mind, it’s nice to see that Apple is taking risks and coming up with things the tech community is not comfortable with. The real question is how will the consumers respond, but the most basic interface patterns persist, so I believe that it shouldn’t be a big issue. Some of the new looks in iOS7 might even seem similar to other existing platforms, but this is not about being unique – it’s about providing users with the best possible experience. To make that happen Apple has introduced many changes to the platform which are unique, hard to execute ideas: a physics-based dynamic and motion aware graphic user interface (which was hinted many times before), and the replacement of old metaphors with more visual depth and simplified controls. Many of these changes are truly stunning, yet the iOS team is not just showing off, the designs feel very purpose-driven and focused on the principal that content comes before the UI. This design direction doesn’t just apply to Apple’s work, it should guide app developers when thinking about their own app designs. It’s a direction we at OTHER media strongly believe in. While the details are restricted until Fall (as usual), my feeling is that changes to iOS7 will also have a strong impact on what the app developers can achieve with the platform. That means a new range of apps, which can be implemented on the platform and of course new kinds of solutions to support new and existing businesses. The icing on the cake to these new goodies is as Tim Cook highlighted during the keynote: iOS has an extremely high adoption rate with over 90% of users running the latest version, which means these future features can be used in production very soon after the official release of iOS7. As a developer, I’m particularly pleased by Apple’s commitment to delivering further improvements to the tools we use. Many are based on feedback left by the developers themselves, which makes the latest releases really great and more efficient to use. If you round up all these changes, think about the timeframe and last year’s political shifts at Apple, it’s staggering how much this company managed achieve and deliver. All of that makes iOS and OS X still the two strongest platforms out there. The community is excited as always. Apple engineers were very helpful in the labs as always. 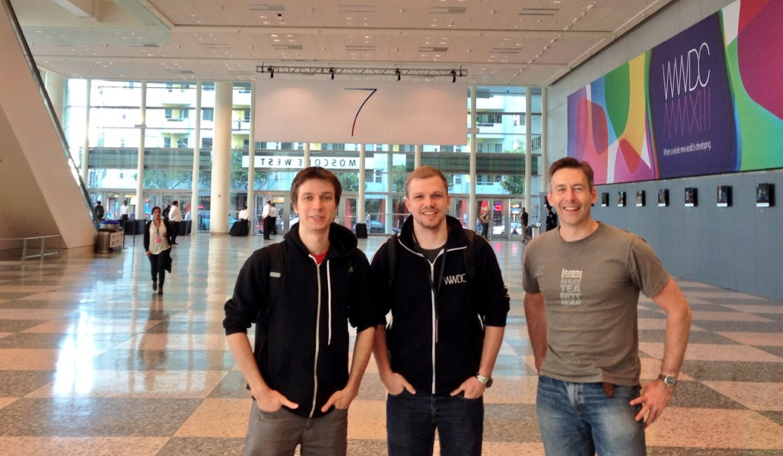 Overall, WWDC2013 was again a highlight of my year.